If you are an owner of an Android device head to Google play. Or if you own an iPhone or iPad, you can download it from the App Store. 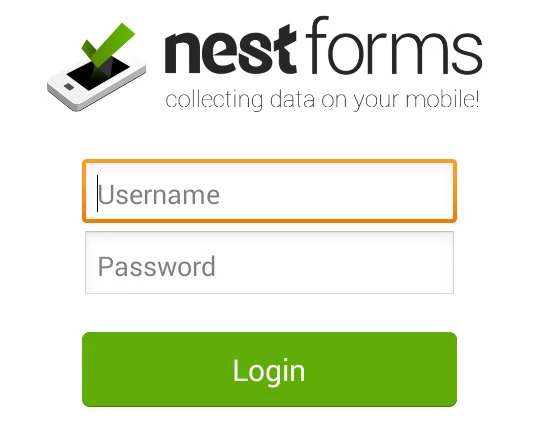 login with the profile you created on the Nestforms.com webpage. If there are forms that were shared with you, they will appear in the list under the name of the person that shared them. 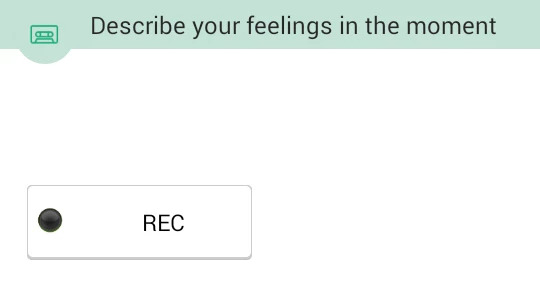 For the form you just chose. This step might be skipped based on the forms settings. Start filling out the form! You might encounter many different types of questions which are explained below as “Components”. 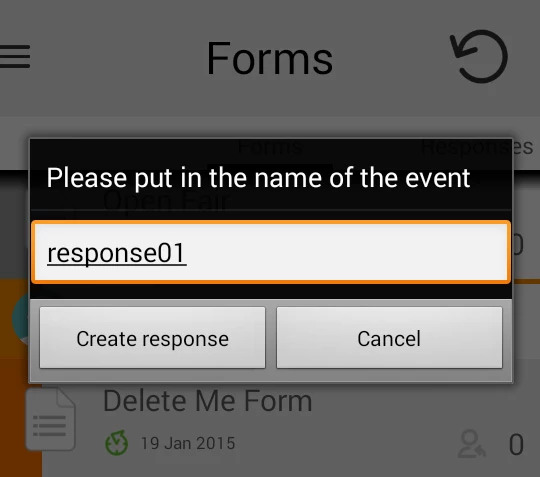 This component allows you to add one or multiple lines of text depending on how the form owner set the component. Allows you to select one option from a list. 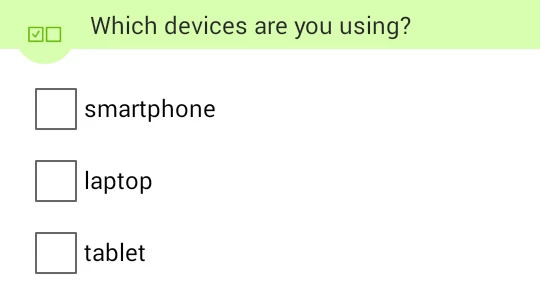 As the name suggests, just select one option for an answer. You guessed it. This component is used when there is more than one answer. Take a photo or upload one you have stored in your phone. note: if you hold the "Add a photo" button for a longer time it will allow you to choose a picture from your image library. Allows you to record audio and play it back. Opens up a drawing box and allows you to take an inkless signature right into your smartphone. On activation, the "Capture GPS" button stores your selected GPS Coordinates, alternatively you can select your loation via the map option. Select a particular time or just insert the current time as an alternative. Insert a numeric value. The "-" & "+" signs increases and decreases the value by 1. 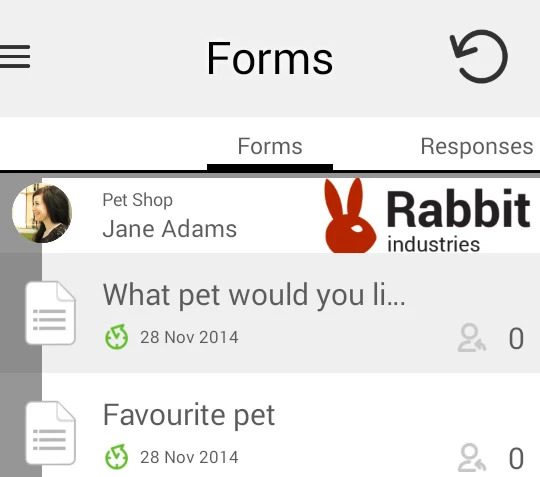 The form owner can also set minimum and maximum values. Choose a numeric value using a slider instead of typing the number. Select a numeric range using a starting and finishing point. The Scanner will allow you to read & store QR & Barcodes. The Nest Forms android app uses external code scanners so you may be asked to download a Scanner from Google Play if you do not have one installed. 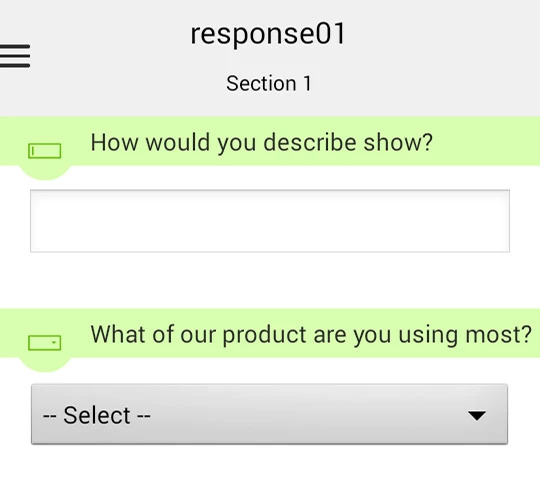 The Note component just acts as a prompt written by the form owner, which is used to help instruct you when answering a survey form. Learn more about the clone section. "Finish" saves and closes a response. "Finish & New" does the same, but opens a new blank response from this form.